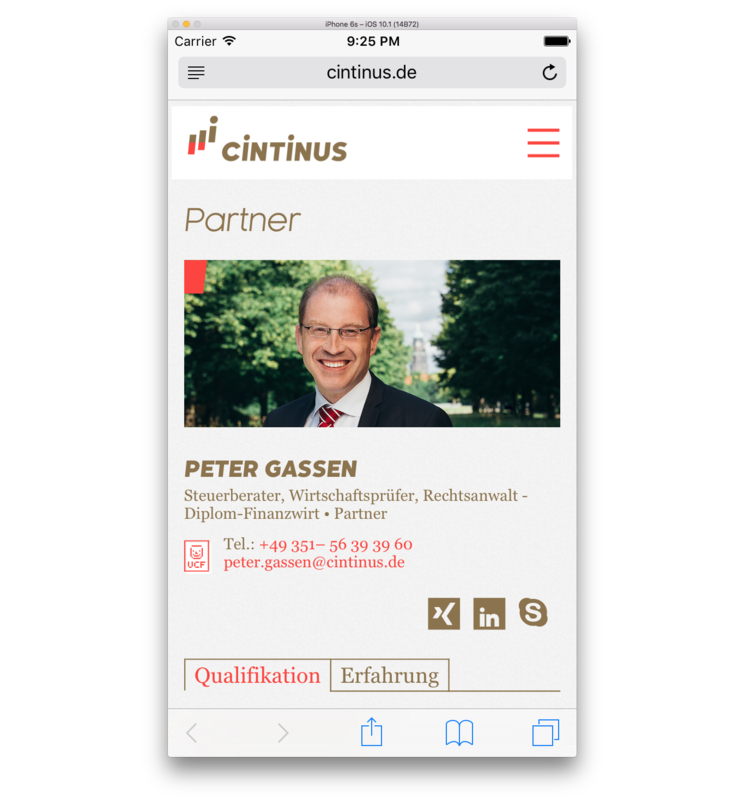 “Cintinus” is the Latin word for “sustainable” and also the name of a Dresden based tax consultancy company, founded in 2014. 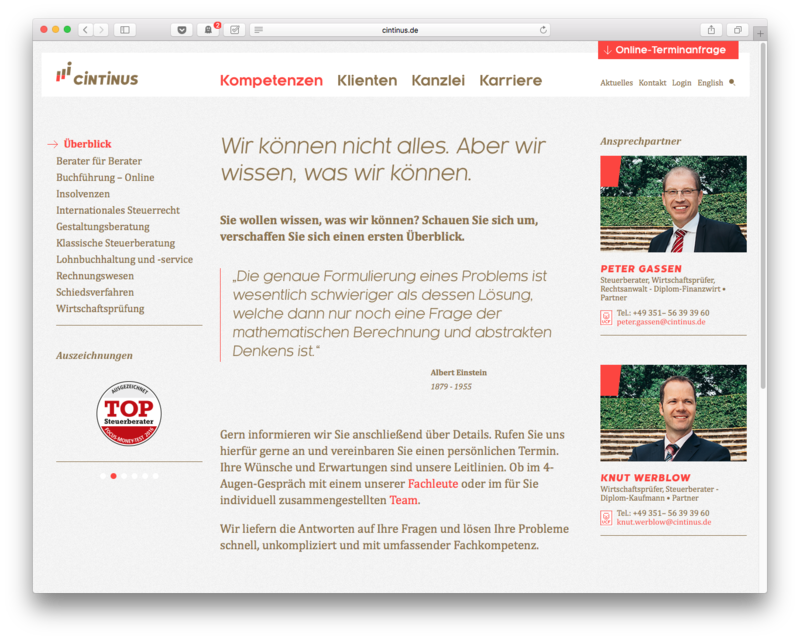 René Paritschkow created their branding and got me on board for building a responsive, Wordpress based website. 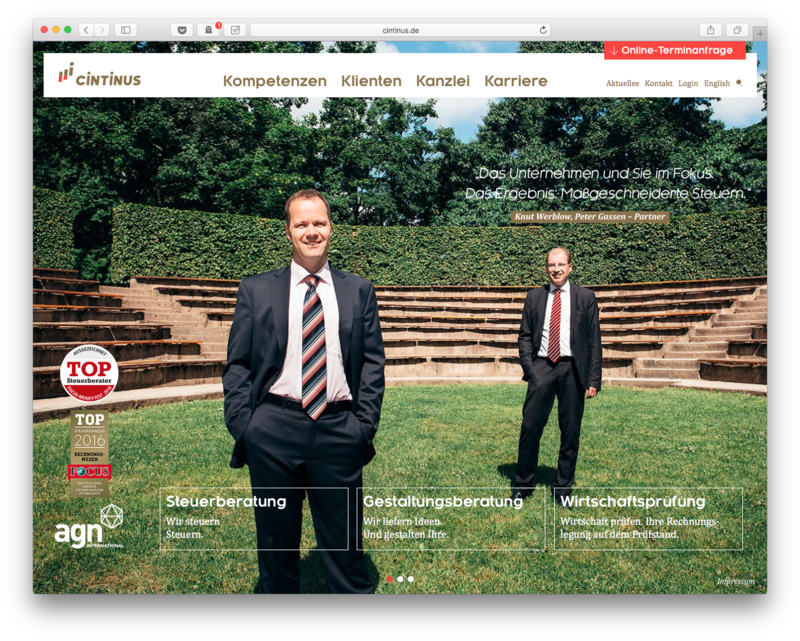 Design by Rene Paritschkow / paritschkow.com.